Lying deep beneath Pluto's frozen surface is a vast underground ocean, according to scientists in a paper recently published in the Nature journal. They came to this conclusion based on observations made by NASA's New Horizons spacecraft when it flew by the dwarf planet and its moons in 2015. The body of water is most likely slushy with ice and lies around 93 to 124 miles under the surface. The subsurface ocean itself they think might be around 62 miles deep and although mostly water, Francis Nimmo professor of Earth and planetary sciences at UC Santa Cruz, first author of the paper, said it probably contained some kind of antifreeze like ammonia. The idea that an underground ocean exists has been posited as the most likely reason that the low-lying plain known as Sputnik Planitia—caused by a meteorite impact it features an unusual heart-shaped region—is in alignment with Charon, Pluto's largest moon. "It's a big, elliptical hole in the ground, so the extra weight must be hiding somewhere beneath the surface. And an ocean is a natural way to get that." said Nimmo. 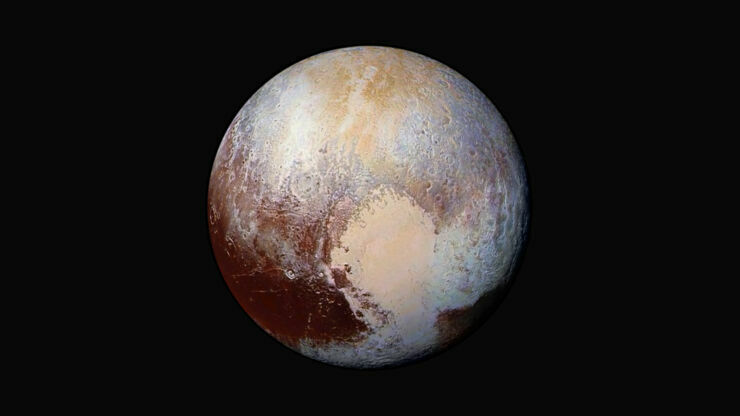 Although Pluto is over 40 times further away from the sun than we are on Earth, it's thought Pluto has enough radioactive heat left from its formation 4.6 billion years ago, this could keep the water liquid. 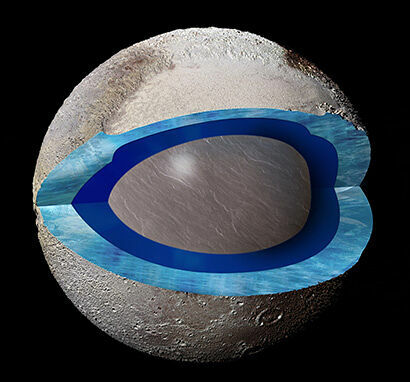 Many worlds, not just Pluto, beyond Earth are thought to hold underground oceans, some of which could harbor life. Nimmo said that there are other large objects in the Kuiper belt, similar in size and density to Pluto, which could also have subsurface oceans. "When we look at these other objects, they may be equally interesting, not just frozen snowballs," Nimmo notes.